The following lists Masses in Arkansas that are celebrated in Vietnamese. Click on a parish below for address and contact information. 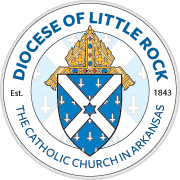 St. Patrick Church North Little Rock 10 a.m.
St. Vincent de Paul Church Rogers Call parish for Mass time. Sacred Heart of Mary Church Barling 7:05 p.m.
Sacred Heart of Mary Church Barling 5:30 p.m.
Sacred Heart of Mary Church Barling 8 a.m., 7 p.m.